The MMS-Water-Filter is a powerful, multi-stage drinking water filter for households with only 0.1 micron pore size. He has an innovative Micro-Membrane-System (MMS) and ensures deep, pure drinking water quality and a refreshing taste. The MMS-Water-Fllter does not need electricity, no waste water, no chemicals and no decalcifying - so it is very environmentally friendly. The mineral content (especially magnesium and calcium) and the pH value are retained. Its almost 100% filter capacity was impressively confirmed by 2 German laboratories. The MMS-Water-Filter is quickly mounted and holds up to 12 months or 11,200 liters. Buy now online a MMS-Water-Filter for wonderfully refreshing, vitalizing and energizing drinking water. Water is life - and our most important food. Although residues of more than 50,000 substances can be found in drinking water, there are only a handful of limit values ​​and even less legal provisions. Sewage treatment plants can not remove all loads. Even if the water suppliers feed clean and germ-free water into the municipal pipeline, it is not guaranteed that it will come out of your tap at the end of the pipeline. For this reason, a profound filtration just before the sampling point is useful to protect the health of your family. The MMS-Water-Filter is a three-stage drinking water filter with top performance and a hygienic quick-change system. The filter mechanically removes substances and suspended matter such as asbestos fibers greater than 0.1 micron. Thus, the filter is up to 50 times more thorough than conventional devices with 5 micron pore size. In addition, the MMS-Water-Filter filters chlorine and chlorine compounds (CFCs), organic compounds such as pesticides and pesticide residues, herbicides, insecticides, drug residues, hormones and hormone-like substances, odors, discolourations, metals and heavy metals (e.g., lead, iron and copper). It can also largely remove micro-plastic beads, aluminum (geo-engineering), as well as glyphosate and glyfosinate, which have recently been found in drinking water. The micro-membrane system (MMS) also allows effective removal (99.9999%) of bacteria, fungi and parasites and makes the water microbiologically pure. First, the water passes through a food-safe mineral mix. This protects water cookers, coffee and tea machines from stubborn limescale deposits. In addition, the structure of the water is altered such that the subsequent filter stage is e.g. Heavy metal. Moreover, this stage can almost halve the nitrate content of the water. This is exceptional for a carbon block filter. 1. Screen effect: The fine pores act like a screen and retain larger contents (such as sand, rust, asbestos fibers, suspended particles and also bacteria and unicellular parasites) in the water. Many filters have only one carbon block with a 5 micron pore size, a few offer 1 micron, and the better even 0.8 micron pore size. Our MMS-Water-Filter has a pore size of only 0.3 micron and thus forms a surface of several hundred football fields (!!!). This long way vitalizes and energizes the water and leads among other things. To the refreshing taste. 2. Adsorption: Many substances such as lead, copper, fungicides, pesticides and herbicides, but also drug and hormone residues, which could pass through the pores, are attracted by atomic forces of the activated carbon (van der Waals forces) as by a magnet and permanently fixed. This also applies to substances which lead to an unpleasant taste or smell. The filter increases with time and thus consumes. 3. Catalyst Action: Activated carbon is also a highly active catalyst. It promotes chemical transformation processes without being consumed by itself. 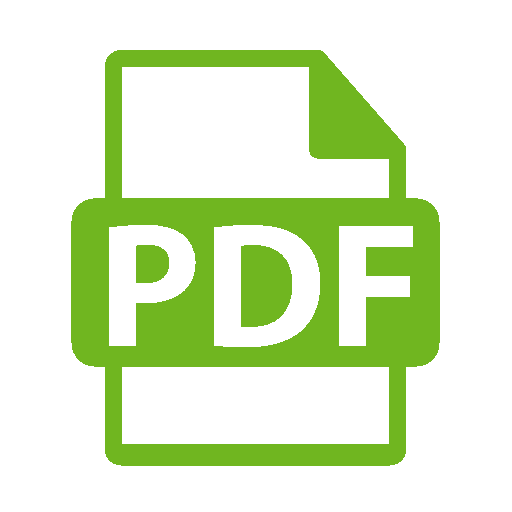 For example, The dangerous chlorine compounds, chlorinated hydrocarbons and chlorinated hydrocarbons (CFC) are removed from the water. After the active carbon block, a new micro-membrane system (MMS) with a pore size of only 0.1 micron forms the third and most thorough filter stage. Only very few filters of the reference class have such a fine pore size. Here, all suspended particles and the smallest bacteria, fungi and parasites are safely restrained. Now the water is physically freed from all impurities. In order to erase the information of these impurities, we have applied the "Flower of Life" to the filter in the 7 chakras. This can harmonize and energize the water. See also our "Flower of Life" coaster set. 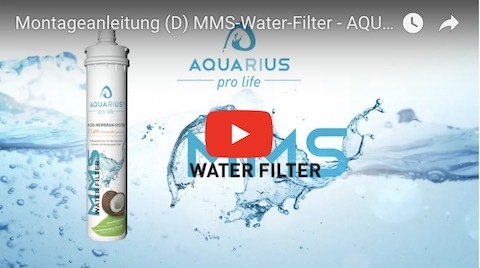 Our MMS-Water-Filter has been subjected to extensive hardening tests in two German independent laboratories. In the laboratory for residue analysis Bremen, the water in front of the filter was deliberately contaminated with high amounts of pesticides and elements. Behind the filter it was measured how much per cent these impurities could be filtered out. Almost all pesticides, fungicides and herbicides (glyphosate and glyfosinate) could be filtered out 100%. Even the currently discussed nitrate could be reduced by 44%. The laboratory was surprised that a carbon filter of this building class could filter nitrate at all and confirmed this in a second measurement. Heavy and light metals were also filtered out to almost 100%. However, the minerals important for drinking water such as calcium and magnesium as well as the pH remained intact. Finally, it was investigated whether the filter materials used themselves discharged substances (for example silver, ruthenium and polycyclic aromatic hydrocarbons) into the water. These were not detectable. The second laboratory at Q-Bioanalytic was about how well the filter was able to filter highly germinated water. For this purpose, old, brackish and completely contaminated and polluted aquarium water was used as the starting water. According to DIN EN standards for drinking water, water was taken from the filter, cultures were cultivated and these were then examined. The MMS-Water-Filter produced an amazing reduction of 99.35% almost drinking water quality. Both extreme hardening tests have used a load up to 100 times higher than in drinking water to measure the maximum filter capacity. When using the domestic drinking water pipeline, a nearly 100% filter capacity should be assumed. The MMS-Water-Filter not only has excellent filter performance, but also has a filter capacity that is twice as high as conventional filters. Therefore it has to be dived only approximately every 12 months or after an average of 11,200 liters. Both together lead to the probably lowest running costs on the market: 1 liter of refreshing drinking water for only about 1ct = 0.01 €. You have almost 1,000 liters per month available. This is generally enough for a family of four as pure drinking water, for coffee and tea, for the extensive washing of fruits and vegetables, for the cooking of food, for the pets and the flowers. The MMS-Water-Filter is very environmentally friendly in several respects. It does not consume electricity, does not require chemicals, does not produce waste water, e.g. Reverse osmosis systems and also does not require elaborate descaling. In addition, more than twice the capacity of conventional filters leads to more than 50% less waste, less transport costs and exhaust fumes per year. EU Regulation 10/2011, European Directive 98/83 / CE, DM 25/2012, DVGW (W543), KTW-A, W270. Our filter complies fully with the EU guidelines for materials that come into contact with food and drinking water. The MMS-Water-Filter may only be operated on the drinking water line! It is usually installed in the kitchen under the sink. It can be installed between the cold water supply and does not need an additional tap for the drinking water. Alternatively it can also be connected to a separate faucet (not included). The installation takes only 5 - 10 minutes, a filter change is done in 1 minute hygienically. For security reasons and to maintain the guarantee, the building may only be carried out by an expert! The annual filter changes can be carried out without a specialist. The triangles on the top of the filter head indicate the water flow direction. Failure to do so can damage the filter! *1 Attention: The MMS-Water-Filter requires regular periodic maintenance! In order to ensure a constant drinking water quality, the filter cartridge should be changed every 12 months or after 11,200 liters. The indicated power and capacity depends on the water quality and the local water pressure and can vary. When the flow rate has greatly decreased, the end of the filter capacity is reached and a change of the cartridge is necessary. The old cartouche can be disposed of in household waste.